Black Friday has become the biggest shopping day of the year. Last year, Thanksgiving and Black Friday online shopping reached a record level of $4.45B. But, shoppers didn't stop there. They spent a record $639mm through their mobile devices on Thanksgiving and $583mm on Black Friday. For this reason, we thought it would be appropriate to talk about mobile payments on Black Friday this year. The findings of two newly released studies from Bank of America and JPMorgan show that consumers have begun warming up to the idea of mobile payments over cash and credit cards, and that a rising number of people across all age groups are planning to step up their usage of mobile payments over the next few years. Though the results of the two studies were far from identical, the big takeaway from the two surveys is that they both show an increase in consumers' use of mobile payments and their intention of using them more often. According to JPMorgan's survey, 48% of consumers already prefer to use their cell phones to make payments instead of using credit cards or cash. One of the major reasons is convenience, particularly the fact that they still have the ability to pay for things if they forget or lose their credit cards or debit cards -something 40% of consumers say they have done at inopportune times. 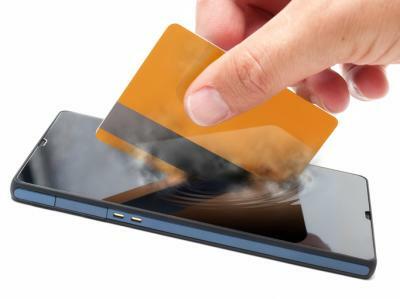 Because of the ease of mobile payments, coupled with the fact that most people all but have their cell phones stapled to their hands these days, JPMorgan found that 46% of consumers say they plan to increase their use of mobile payments within the next 5Ys. Sadly, we're not kidding about consumers' addiction to their cell phones, as the same survey found 32% of respondents said they would be upset about losing their cell phones vs. only 19% who said they would be upset about losing their wedding rings. While Bank of America doesn't seem to have surveyed consumers about their wedding rings, the results of their latest survey on mobile payments found that 57% of people are either already using their cell phones to make person-to-person money transfers or are willing to do so. Meanwhile, the same survey found that 40% of consumers already use or are willing to use their cell phones to make purchases at the point of checkout, which represents a 34% increase from the results of the same survey 1Y ago. When it comes to using mobile banking apps, 54% of respondents said they are active users of such services, with 84% of those people admitting to checking their banking apps at least 1x each week. The mobile banking activities people said they use most are checking balances and statements, paying bills and transferring money between accounts. Despite the differences between the findings of the two surveys, both show that not only have consumers already increased their usage of mobile banking apps and mobile payment services, but that most people are planning to step up their usage of these services even more over the next few years. If that's not enough to convince you about the importance of providing your customers with engaging and easy to use mobile apps and payment options, we'd like to leave you with the breakdown of how different age groups use mobile banking services, according to the findings of the JPMorgan survey. When asked about the specific things they use mobile banking apps for, 93% of millennials, 84% of Xers and 71% of boomers view account balances; 85% of millennials, 79% of Xers and 70% of boomers pay bills; and 91% of millennials, 80% of Xers and 66% of boomers transfer money. Given this continuing trend, community bankers can talk to customers about their mobile needs and understand how best to address them. Soon every solution could be an app away! Thin trading conditions sent yields up 4bp as investors took action early and then left for the holiday. Fifth Third Bank ($143B, OH) will sell shares it owns in credit card and payment processor Vantiv. Fifth Third spun off Vantiv in 2009 and it became a public company in 2012. Following the issue at Wells Fargo, the OCC is preparing to heighten its scrutiny of and increase sanctions around bank employees who violate banking laws. 1) Capital One Financial ($383B, VA) will acquire World's Foremost Bank ($5.7B, NE) for about $200mm in cash. World's Foremost is the operator of Cabela's cobranded credit card program and Cabela's in turn is being acquired by Bass Pro Group. Research by Pew finds that for the first time in history (back to at least 1880), more people age 18 to 34 (33%) live with their parents vs. a spouse or partner. JPMorgan projects inflation will rise in 2017, pushing global GDP growth to 5.4%. That is about 100bp higher than the average level seen over the past 2Ys. Research by PwC of board members from financial services companies finds the following areas ranked highest for director comfort with their company's approach: identifying parties responsible for digital security (57%), testing cyber incident response plans (34%), identifying the most valuable or sensitive digital assets (39%), and providing the board with adequate reporting on security metrics (30%). Citigroup announced it has launched a new digital wallet called Citi Pay that will allow customers to make payments on the fly and using tap and pay. It rolls out next year in the US. Ally Financial ($157B, MI) will pay $52mm to settle claims related to subprime mortgage backed securities it underwrote back in 2006 and 2007.